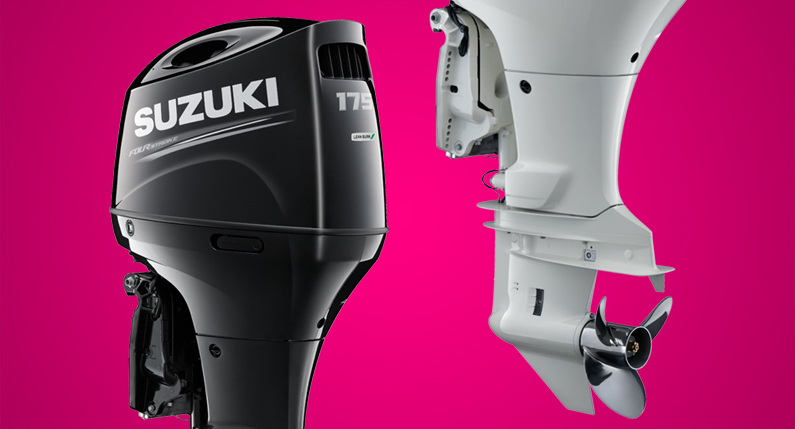 The Haines Group, distributors of Suzuki outboards, has announced the release of Suzuki’s new high performance, 4-cylinder DF150AP/DF175AP 4-strokes. Repackaged with the latest refinements and innovations as seen in the DF200AP (released April 2015), the DF150AP and DF175AP offer the same lightweight and compact design while boasting the largest displacement in their respective classes (2867cm3). Equipped with the same 2.9L ‘Big Block’ in-line 4-cylinder DOHC engine, the new outboards also feature a higher 10.2:1 compression ratio, generating more power to deliver exceptional acceleration and low-end torque. The motors can be configured for either regular or counter-clockwise operation. Options available with the DF150AP/DF175AP include the new Suzuki Precision Manoeuvring joystick system, which uses Suzuki Precision Control to provide fully integrated electronic throttle, shift, steering and joystick control for a seamless driving experience and greater manoeuvrability, no matter the condition or speed.